Very true ....Apache Camel it is all about the community, for the community. Thanks for the post. I haved played a bit with Mule for the past 1-2 years on own just to see how it compares to JBoss Fuse and IBM Integration Bus. I would say comparing Apache Camel with IBM Integration Bus or Mule is like comparing apples vs oranges. Ideally it would be nice to compare the actual commercial versions such as Red Hat JBoss Fuse, Talend or others vs Mule vs IBM. That would make more sense. 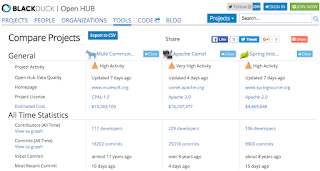 For obvious reasons as you stated in the blog Camel is an Apache project and open source. Mule is a commercial software out to make money so should be compared to similar commercial projects. Also if I am not misstaken another reason to compare the commercial implementations of Camel such as JBoss or Talend is because they contain the runtime environment for Camel to run inside i.e. the osgi container or similar. IBM has its runtime and Mule its own. While I think the project and the social/community parts are critical, both you and Raul did not compare Mule and Camel technically, as in ease of use, ease of implementation of the integration cases, debugging, message throughput, etc. I miss the pragmatic, developer and operations, side of the comparison. Anyone who do integration software assessments should do technical evaluations. But IMHO the most important aspect is all the non technical. Real open community and open source is paramount to ensure the best software and no vendor lock-in. The gated and open-core module with a dubious license is just another word for "close source big vendor bully" which we had a lot of in the past, where customers are under their mercy and paying to much $$$. 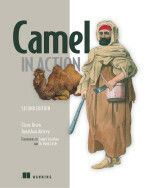 Upvote for Claus, and the truly open source Apache Camel. An opensource product like Camel (or Linux) may not get a fancy IDE or flashy marketing $$, but ultimately community and industry gets a sturdy, dependable workhorses - just like Linux did.